For the Sacred Record reveals that as she would fill each jar to the very top (which was an absolute miracle that she didn't run out of oil on the very first jar that she'd filled) her sons would continue to bring her the jars, until there was none left in the house. In the last article we'd learned, thanks to God, Jehoram and his allies, were victorious, when it came to finally crushing Mesha's rebellion. Remember that Mesha, had decided to rebel against Israel, after king Ahab had died. Ahab's son Ahaziah, had taken over the throne, but very early on in his reign, he would suffer a very tragic fall. Therefore, keeping him from being able, to quell Mesha's rebellion, before it had started picking up steam, from throughout the land. Remember, the fall that Ahaziah had suffered, turned out to be so severe, that some time later, he ended up dying from his injuries. And it's for this reason, Ahaziah's overall reign, would fall just short of two years. Understand that Jehoram, would turn out to be, not only Ahab's youngest son, but his last. Nevertheless, after Jehoram had taken over the throne, he wasted no time, when it came to setting out to crush Mesh'a rebellion. But first, the young Israel king (thanks to the Judean king Jehoshaphat) ending up seeking out the counsel, from one of the Lord's prophets. It would be the prophet Elisha, that the Lord ended up using, when it came to helping Jehoram, defeat Mesha the Moabite king. However, after this had happened, Ahaziah's younger brother Jehoram, ends up taking over the throne. As we can see, the passage just pointed out, the widow was the wife of a fellow prophet, that had belonged to one of the Prophet Academies, Elisha was now a master over. The passage also points out, this particular prophet, had recently passed away; and by doing so, left behind a tremendous debt; which was a debt, his family would now be held responsible for. For you see, the creditor that this particular prophet was indebted to, ends up going to the prophet's wife, demanding that the debt needed to be paid in full. The creditor goes on to say, if the widow wasn't able to pay, she was going to have to give up her two boys. For it would be her boys, that would end up, being used as some sort of payment. Now obviously, her husband had a reputation for being righteous, and very dedicated, when it came to doing the work of the Lord. And even though he had incurred, a major financial debt, we don't find Elisha refuting the wife's description of her husband, when see made the claim, he was a good, God-fearing man. And actually, the mere fact that Elisha was even willing to help her, was a clear indication, of how the prophet felt about her husband. This is also why, we find Elisha asking the widow, how he can be of help to her: "How can I help you? Tell me, what do you have in your house?" So after the widow had heard this, she responded to the prophet by saying: "Your servant has a little oil, but nothing else." Now after hearing her reply, Elisha told her: "Go around and ask all your neighbors for empty jars. And don't ask, for just a few. Then go inside your house, and shut the door behind you and your sons. After you've done this, pour oil into all the jars. 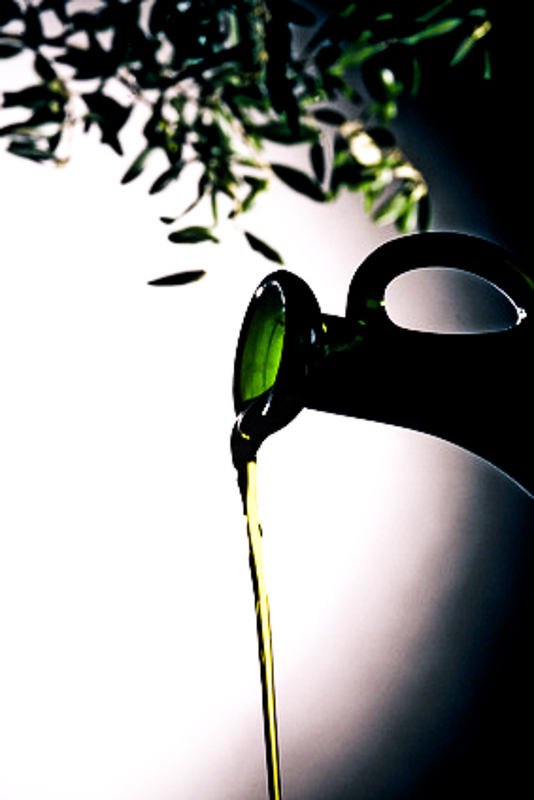 Now as each one is filled, put that jar of oil to one side." Now after the widow heard this, she demonstrates the type of faith she has, by doing exactly what the prophet had instructed her to do. She did this, by going around to all of her neighbors, borrowing all the jars that they would lend out to her, and her two boys. Then she came back to the house, and shut the door behind herself, and her two boys. As the widow continued to follow Elisha's instructions, she told her two boys to bring to her, one at a time, the jars that she'd borrowed from her neighbors. And as they would bring the jars to their mother, she would continue to pour the small amount of oil, she initially had, into all of the jars that her sons could bring her. For the Sacred Record reveals, that as she would fill each jar, to the very top (which was an absolute miracle that she didn't run out of oil on the very first jar that she'd filled) her sons would continue to bring her the jars, until there was none left in the house. Now when they had finally ran out of jars, the small amount of oil that they had, would stop flowing. After she was done pouring the oil, the widow quickly went out, and told Elisha about all that had just happened. And after Elisha had heard her testimony, he told her: "Now go, and sell the oil, and pay your debts. You and your sons, can live off the rest." And once again, the widow followed Elisha's instructions, and she went out, and sold the oil, and paid off all her family debts. Because of this financial blessing, she and her two boys, were allowed to live in both peace, and prosperity. Now that Elisha had helped the widow, and her two sons, with their financial debt problem; the prophet would move on, when it came to his ministry. What person's path, would the Lord allow the prophet, to come across next?